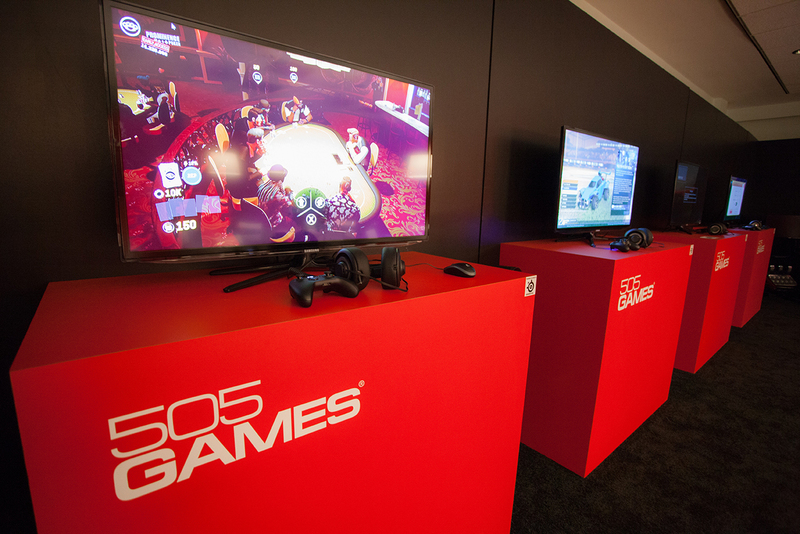 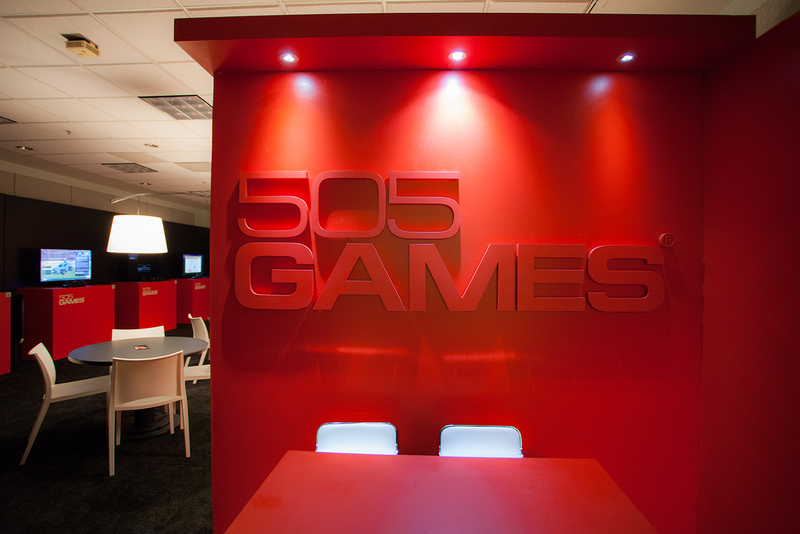 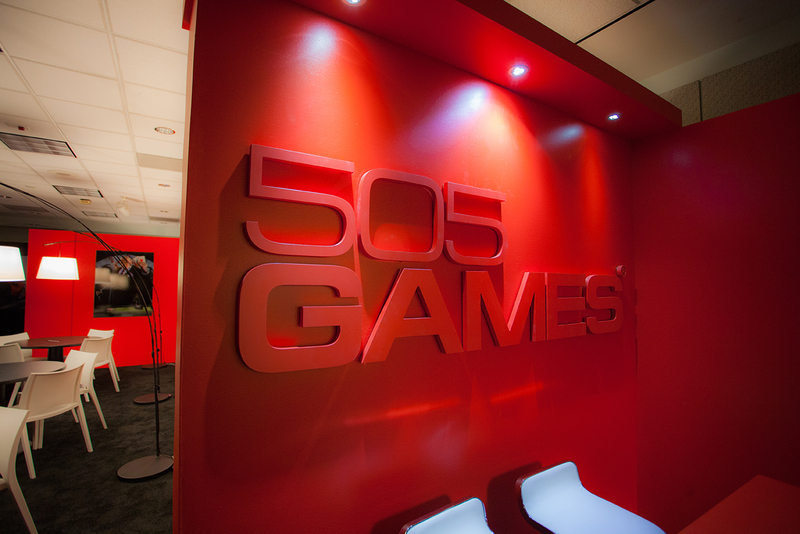 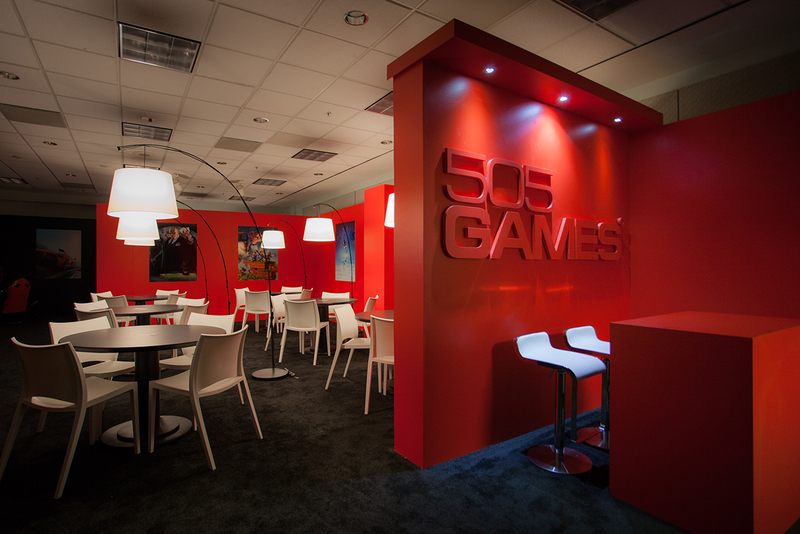 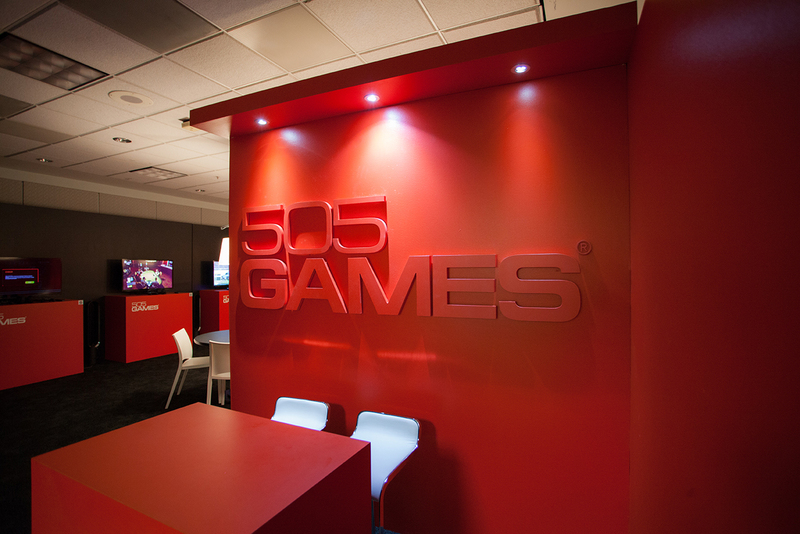 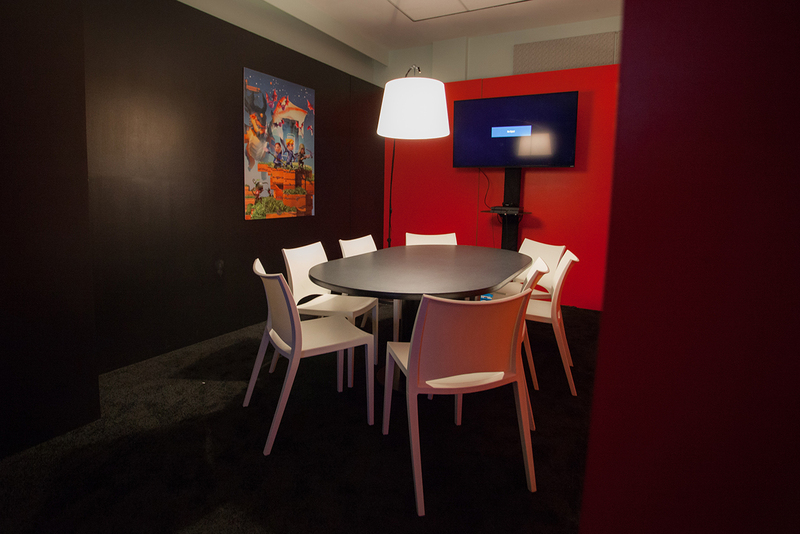 505 Games meeting room was designed with a reception area made out of hard walls and a tone on tone red 505 Game sign. 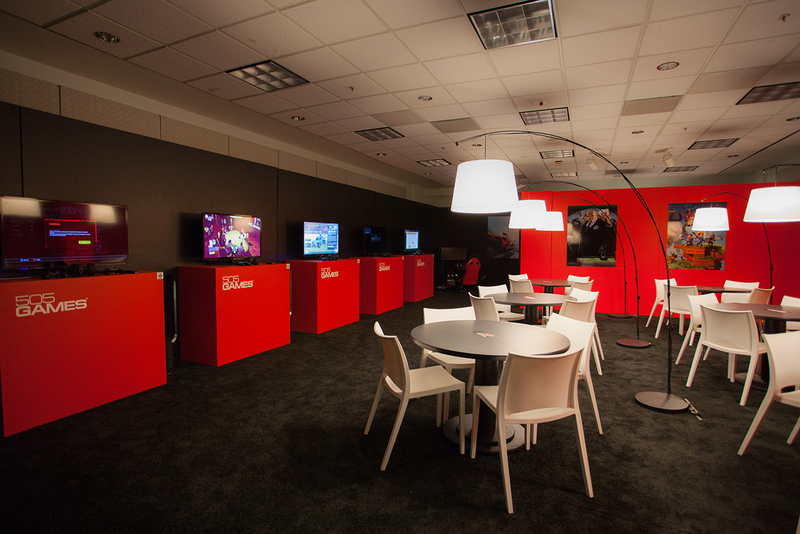 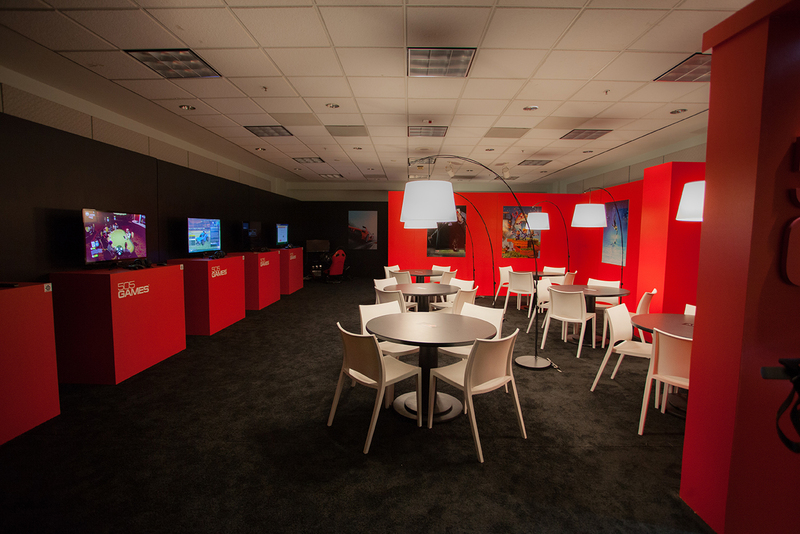 EventmakersÂ designed custom red laminate kiosks to support their 5 games in their portfolio. 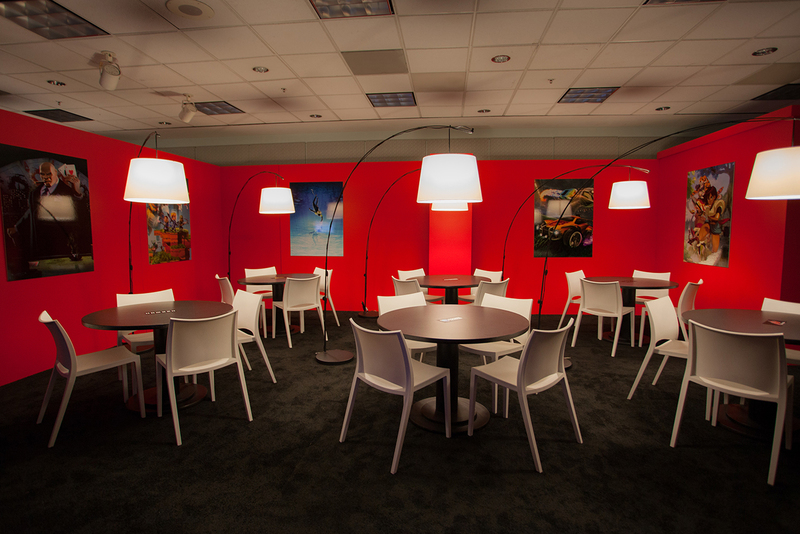 Arching lamps highlighted the meeting tables.